Wedding planning has never been so easy. 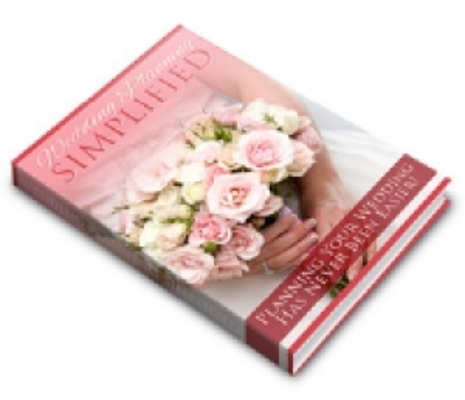 Discover the industry trade secrets of a veteran wedding planner who reveals shocking strategies to saving a fortune. Discover The Industry Trade Secrets Of A 15 Year Wedding Planning Veteran Who Will Show You How To Have A Luxurious Wedding On An Absolutely Shoestring Budget! Discover exactly what you need to say when dealing with wedding vendors so that you are able to negotiate the best deals, stripping away hundreds of dollars in costs! Tried and tested methods of purchasing your wedding attire at insanely reduced costs, regardless of how big your wedding party is! These strategies have saved couples thousands of dollars in costs that could be put towards your honeymoon! How to choose the right reception location to ensure that your day is the best that it can be! Choose the wrong location and your wedding reception will be an absolute disaster! I will reveal the insider strategies of choosing the ultimate reception location regardless of your location or budget! How to save $200.00 on your wedding invitations, instantly! These proven strategies will shave hundreds of dollars of your costs, easily! How to plan out every detail, every element like a pro!! My step by step blueprint to wedding planning will ensure that you address every element like a professional wedding planner, giving you the ability to scoop up deals that are never available to regular brides without a representative doing business for them.